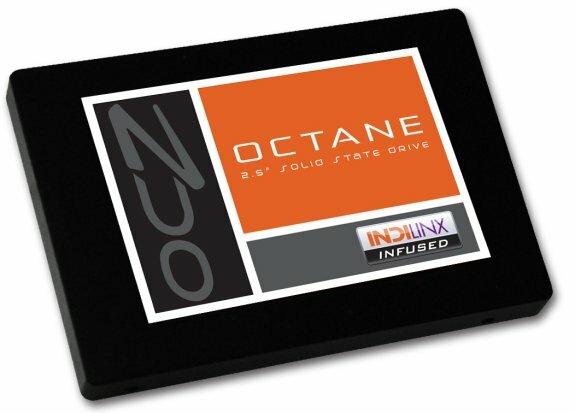 OCZ introduced the Octane (SATA 6Gbps) and Octane-S2 (SATA 3Gbps), two new solid state disks with the Indilinx Everest SSD controller. Both modules will start shipping on November 1, capacities will range from 128GB to 1TB but pricing is still unknown. OCZ Technology Group, Inc. (Nasdaq:OCZ), a leading provider of high-performance solid-state drives (SSDs), today launched the Indilinx Everest-based Octane SATA 3.0 and SATA 2.0 SSD series, striking the ideal balance between capacity, physical size, and speed. In addition to being the world's first SSD to achieve up to a 1TB capacity in a compact 2.5 inch format, OCZ's Octane SSD series combines high-speed data transfer rates with record-breaking access times to provide a superior user experience and improved application performance.